Store bought coffee creamer has never been my thing. I’ve never truly liked the taste of it. It’s no secret that homemade always tastes better. I love figuring out how to make something homemade to cut out as much processed foods from my families diet as possible. So when I had a craving for french pressed coffee this weekend, I also wanted to make some homemade coffee creamer to go along with it. My husband and I have quite the sweet tooth. 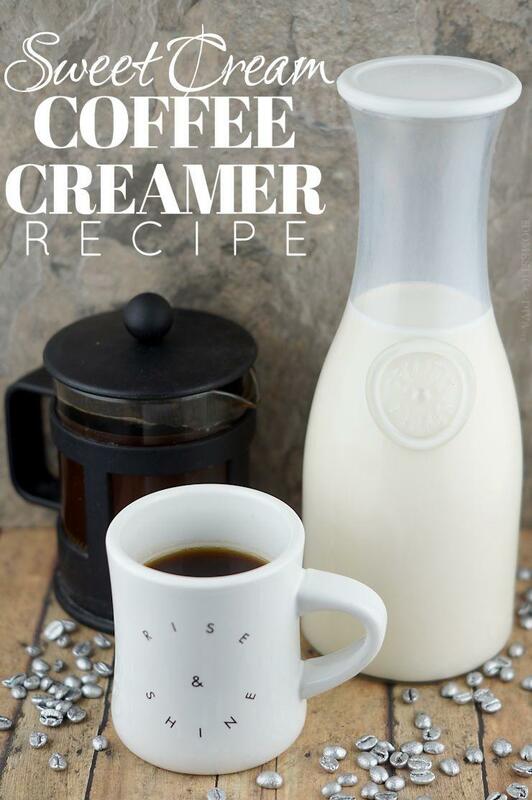 After tons of research on different variations of homemade coffee creamer, I put together this coffee creamer recipe that we are both currently obsessed with. This recipe only requires a few ingredients. It is both satisfyingly sweet and creamy with a hint of vanilla goodness that will have you looking forward to your next morning cup of joe. 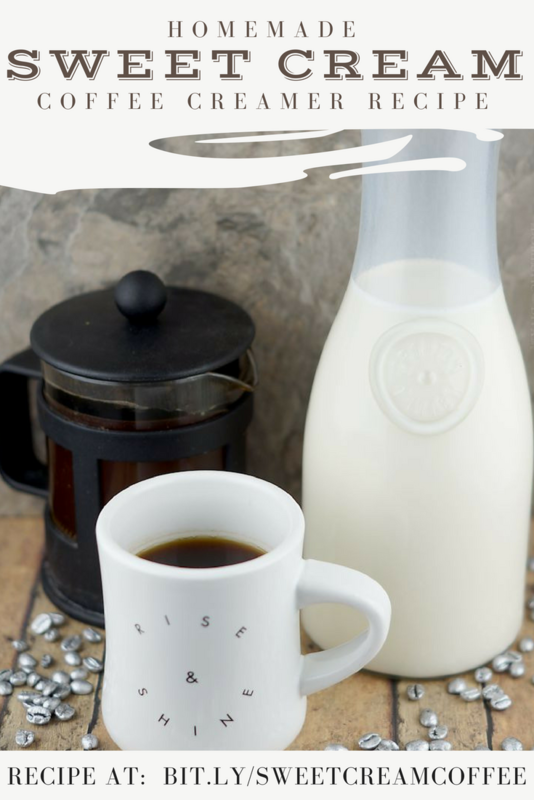 Irresistible sweet homemade coffee creamer is a recipe so easy to make you'll wonder why you haven't been making your own all along. In a large bowl, whisk together sweetened condensed milk, vanilla extract, and milk until thoroughly combined. Store in the refrigerator. Add as little or as much as you like to your favorite brewed coffee. Make note of the expiration date on the milk that you used, this is how long your homemade sweet cream coffee creamer will be good for. 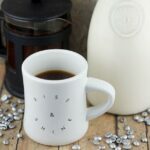 I find that when I use this coffee creamer in my brewed coffee that I don’t have to add any additional sweetness because this recipe contains just the right amount of sweetness that I crave on groggy mornings. If you prefer a less sweet creamer, you can whisk in additional cups of whole milk. Yum this sounds amazing! I am sure it is a lot better for you than buying store bought creamer. oh wow this sounds amazing! I love to be able to make instead of buy at the store!